ROCHESTER, Minn.­ — A common way of scheduling surgeries to expand patient access to care and improve hospital efficiency, known as “overlapping surgeries,” is as safe and provides the same outcomes for patients as non-overlapping surgeries, a Mayo Clinic study has found. Spacing operations so a surgeon has two patients in operating rooms at the same time is a common practice in surgery at Mayo and other leading medical institutions. It gives patients greater access to qualified surgeons, allows more efficient use of operating rooms, and avoids unnecessary downtime for surgeons. A Mayo Clinic study compared the outcomes of thousands of such overlapping surgeries with non-overlapping operations at its Rochester campus and found no difference in the rates of postoperative complications or deaths within a month after surgery between the two groups. The findings are published in the Annals of Surgery. The researchers used Mayo Clinic data from the Vizient Clinical Data Base/Resource Manager, which collects patient data from participating academic medical center and community hospitals, to match 10,614 overlapping surgeries to 16,111 non-overlapping procedures performed at Mayo in Rochester. An additional sample using more than 10,000 operations including over 3,000 with overlap, matched by surgeon, was analyzed using data from Mayo Clinic’s Rochester campus in the American College of Surgeons-National Surgical Quality Improvement Program. That analysis also found no differences in outcomes. In medical parlance, overlapping surgery differs from concurrent surgery. In overlapping surgeries, operations are staggered so the key parts, called the “critical portions,” do not occur at the same time; the surgeon is present for the critical portions of each operation and immediately available for non-critical portions such as closing the wound. In concurrent surgery, a surgeon also has two patients in operating rooms at the same time, but the critical portions of the surgeries overlap. Concurrent surgery is rare and is not allowed by Medicare. Mayo Clinic has long studied its surgical outcomes to improve quality and refine operating room scheduling and other surgical systems and procedures to improve patients’ experience, patient access and hospital efficiency. Key findings over the years include the importance of scheduling surgeries early in the day when possible, rather than at night, when data shows complications are likelier. Planning cases to overlap during the day helps avoid needless night surgeries. 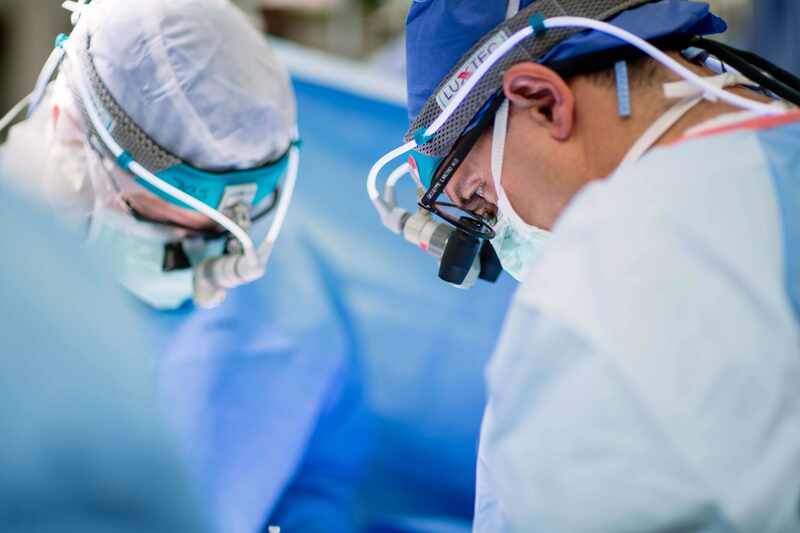 Teams with multiple surgeons are common at Mayo, which has the skill and surgical infrastructure to perform complex operations that involve two or more surgical specialties; cases also may overlap to make surgeons available when needed in multi-surgeon procedures. Dr. Cima is medical director of surgical outcomes research at the Mayo Clinic Robert D. and Patricia E. Kern Center for the Science of Health Care Delivery. The study’s senior author is Elizabeth Habermann, Ph.D., scientific director of surgical outcomes research. The first author is Joseph Hyder, M.D., Ph.D., an anesthesiologist and associate medical director of surgical outcomes research. Dr. Hyder received research support from the Anesthesia Patient Safety Foundation and the Anesthesia Quality Institute. Co-author Daryl Kor, M.D., a Mayo Clinic anesthesiologist and medical director of the Center for the Science of Health Care Delivery’s health care systems engineering program, received funding from National Institutes of Health grants U01-HL108712 and R01-HL121232.